What if we said that you could take part in a major rummy tournament and win from Rs.12 Lakhs for free! Yes, you heard us right; Rummy Circle has come up with an exciting freeroll tourney for all the players. 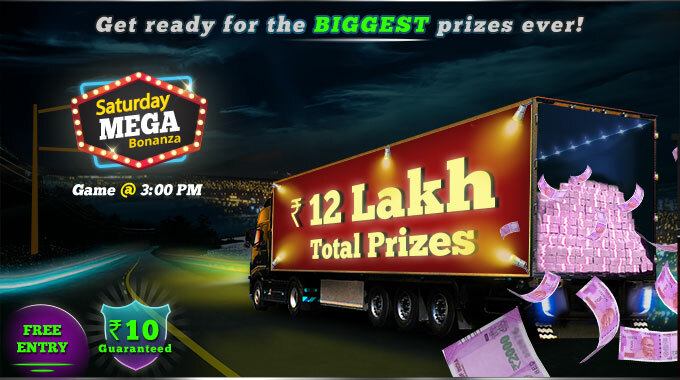 This Saturday, take part in the mega-tournament for mega winnings at Rummy Circle. If you are planning to make this Saturday big, head straight to Rummy Circle and register for the tournament today. Rummy Circle always tries to come up with exciting tournaments that matter to the players. With a total prize pool of Rs.12 Lakhs, you can imagine the excitement that the tournament holds. Since this is a freeroll tournament, you have nothing to lose and lakhs of cash up for grabs! The Saturday Mega Bonanza is specially designed for the highly competitive players at Rummy Circle. If you have the confidence to defeat your opponents in the tournament tables, you can surely win the game. The tournament is scheduled to live in the Rummy Circle website on 13th and 27th May 2017 at 3:00 PM. Players need to register for the tourney before joining the tournament; tournament registration window starts from 9:00 AM to 2:55 PM on corresponding tournament days. Please find the details of the tournament below. If you are all set to be a part of the individual tournament, remember to register for the tourney. Please do let us know how the exciting freeroll tourney went for you. Comment below your reviews on the games, world rummy tournament and promotions that are hosted in Rummy Circle.